The Information Technology platform is known to offer various opportunities and services. The industry offers jobs and services to people who are well acquainted with computer-based technology. 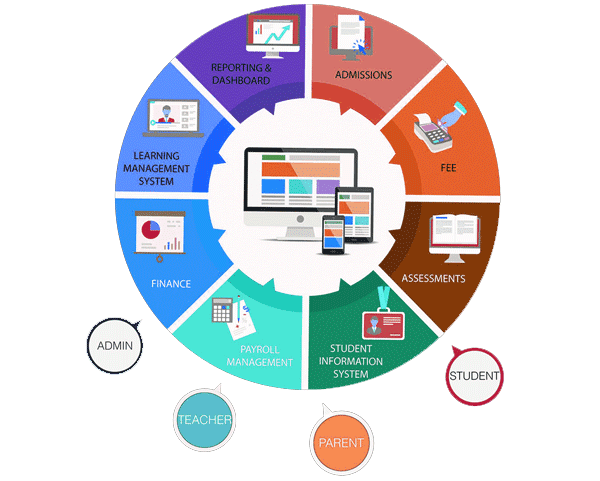 The IT Company India, known for its excellent services in the IT industry offers their aid to various schools with their School Management System, technical excellence that supports different types of models to satisfy the browsing needs of the customers. Managing a school can be tough with each passing day, but letting a set of experts to take care of the school management service digitally, might be a lot easier to handle the pressure. 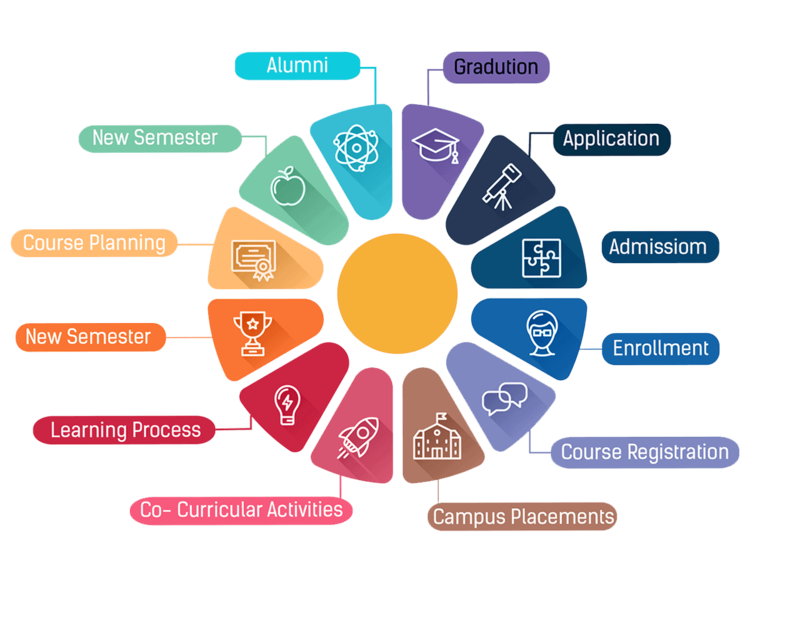 Apart from these main modules, we also offer in taking care of the Heath Management, Library Management, Hostel Management, College Management, and Time Table Management. 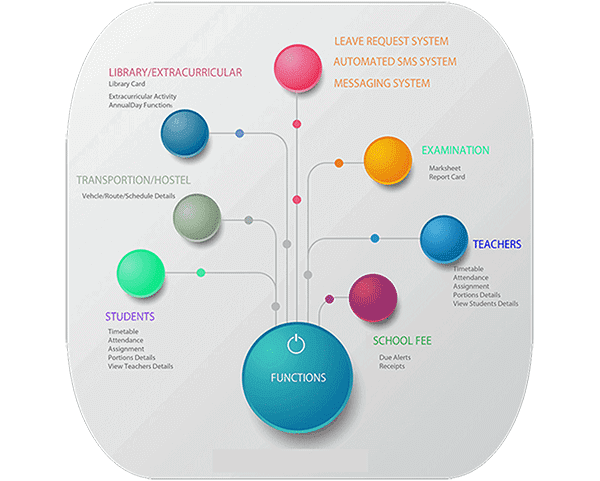 Our School Management Software helps in providing various features to the school’s module to satisfy the quality of the educational establishment. The software is designed and developed to offer its services to local, private, regional and international schools. It is also programmed to give access to students, teachers, administrators and parents from anywhere around the world. Since many we tend to speak different languages, we have also provided the software with multiple language system support. Our software also helps to reduce the workload upon the staff members in the school physically, as the teachers will be taking care of the school management digitally. This will help them to work upon the ERP and send out the required data to the students and their parents through the system. An enterprise resource planning system helps an organization to manage their resource in a more professional and easy way. We being an EPR Web Portal Development Company, offer our services to schools as well, to help them manage the school's resources on various departments. Our ERP Web Developers have worked hard to develop the best software for school management, where the school can perform careful planning, systematic approach and accurate control of the administrative process to attract the best students, produce best results and project the best image. With the rise of educational institute everywhere, managing each department and its resource individually will be tough work. To reduce the workload, these institutions are increasingly seeking the help of information technology to improvise their facilities and maintain a competitive edge to their educational business. To provide with online management services, we IT Company India will provide our services and solutions over taking care of the school's online activities, by providing our best school management software programmed with various tools to help in lessen the workload and reduce the mental stress for the teachers.